After purchasing this rather dated home, which perched atop an unparalleled lot, it became evident to the designer that the focus should be to blur the line between the interior and the outdoors. The designer assembled a team of professionals to orchestrate this transformation. A landscape designer formulated an ambitious design and the pool designer created the sculpted rock water feature, which provided the focal point for this remarkable space. 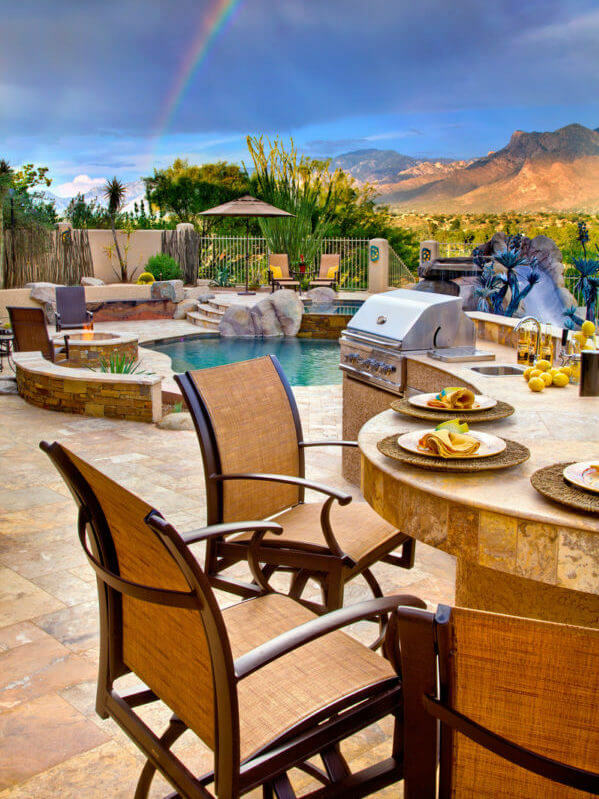 The designer selected travertine flooring, in both a Versailles tile pattern and paver format to become the seamless background for plants, rammed earth seat walls, an outdoor kitchen and furnishings. 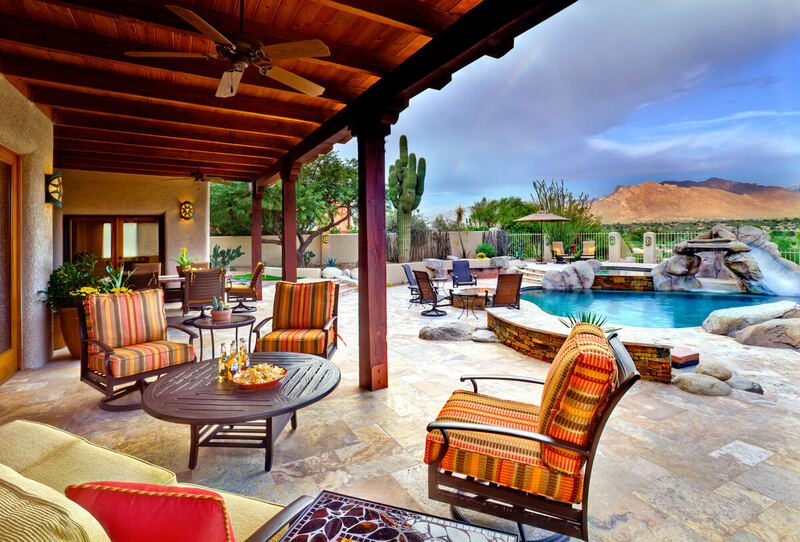 This spacious backyard was divided into smaller, more intimate spaces for cooking, dining, lounging and entertaining. Fabrics and finishes that could be intermixed and reconfigured were selected. This flexibility was important to the clients ever-changing needs between adult and kid friendly gatherings. A comfortable seating area is enhanced with swivel chairs and overstuffed cushions. 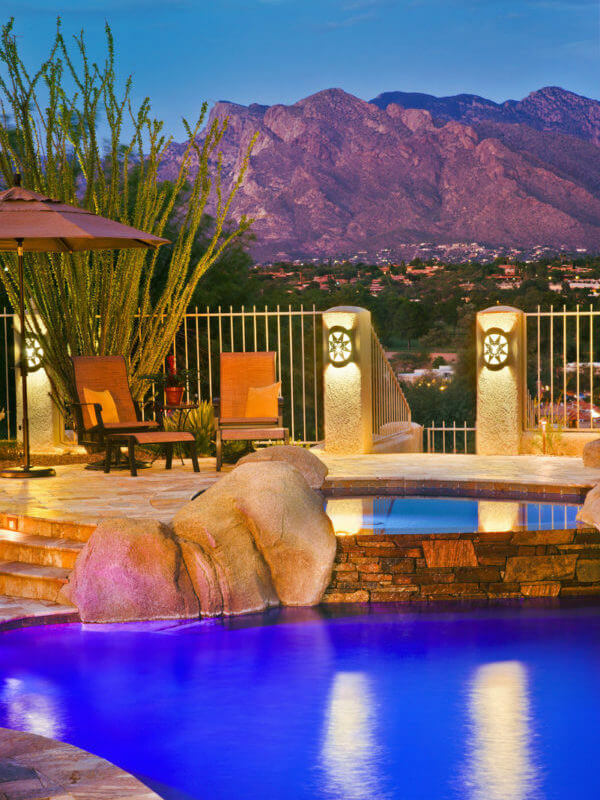 Lighting the exterior with wall sconces, landscape lighting and LED pool lights are important elements in the overall design of this patio. 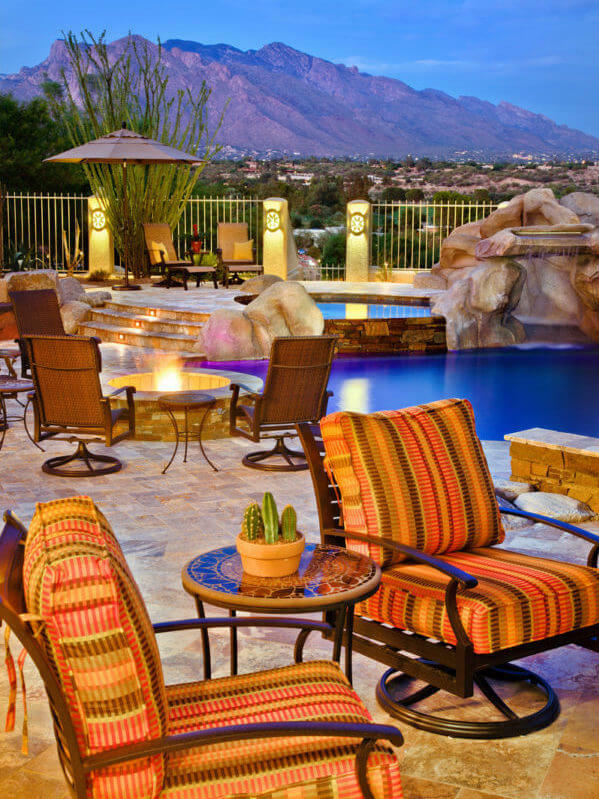 The addition of a fire pit adds drama and warmth during those crisp evenings. The raised bar and BBQ area are a natural gathering spot for casual entertaining. The boat shaped cast stone top and comfortable swivel chairs are a perfect combination for leisurely alfresco dining.